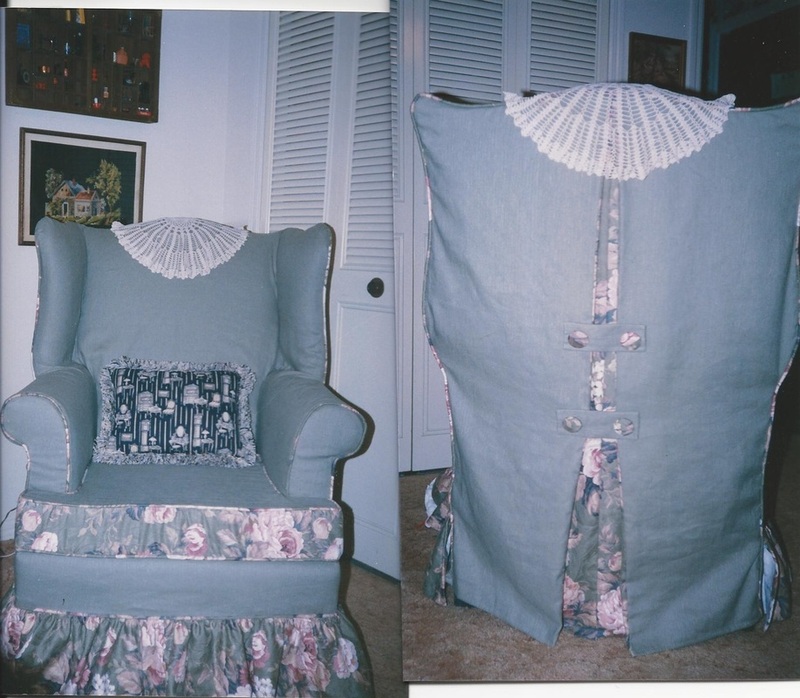 Slipcovers - Elaine's Custom Sewing Inc. 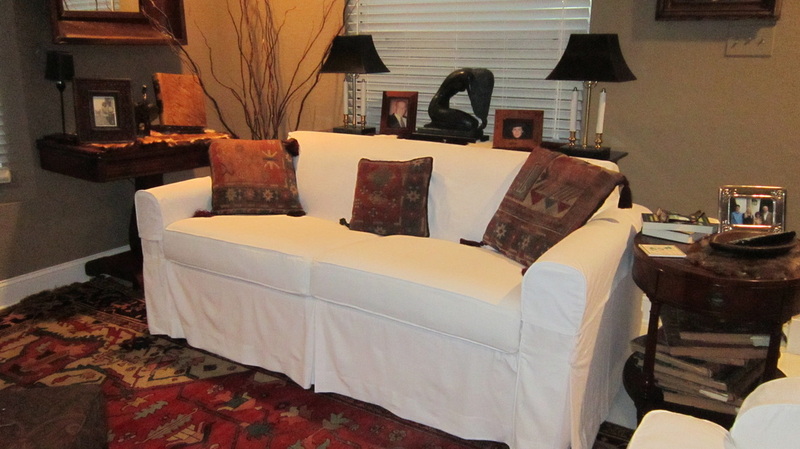 I get a great sense of achievement when I create a custom slipcover that transforms an old sofa into something that you will love again as new. 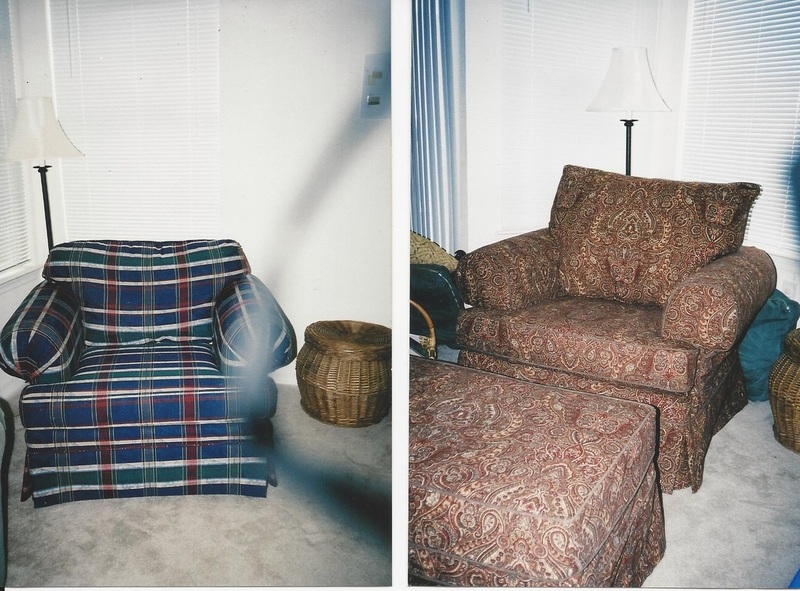 Combine the best of both worlds, your existing sofa and chairs that you love, with the benefit of a whole new updated look, using fabrics that you choose to perfectly accent your room. 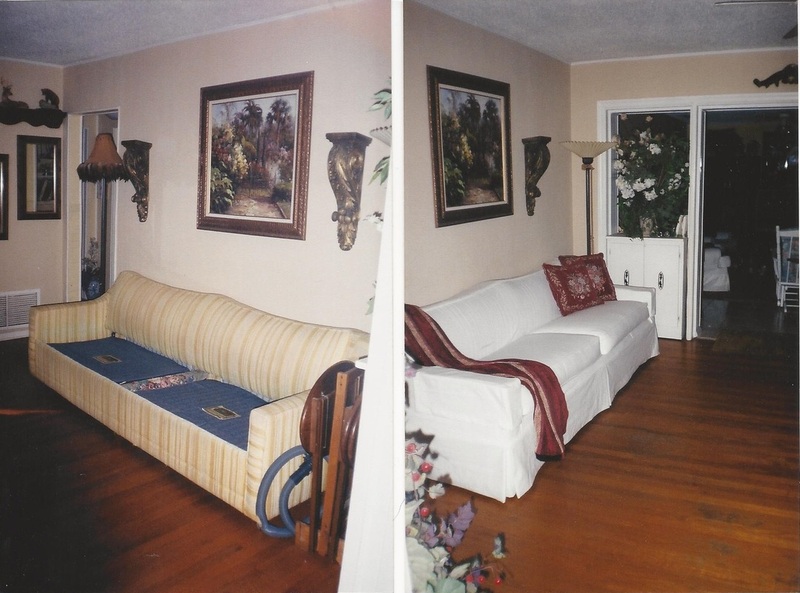 Start with a call or an email for a free phone estimate, we can discuss your project, including sources and suitability of various fabric choices. 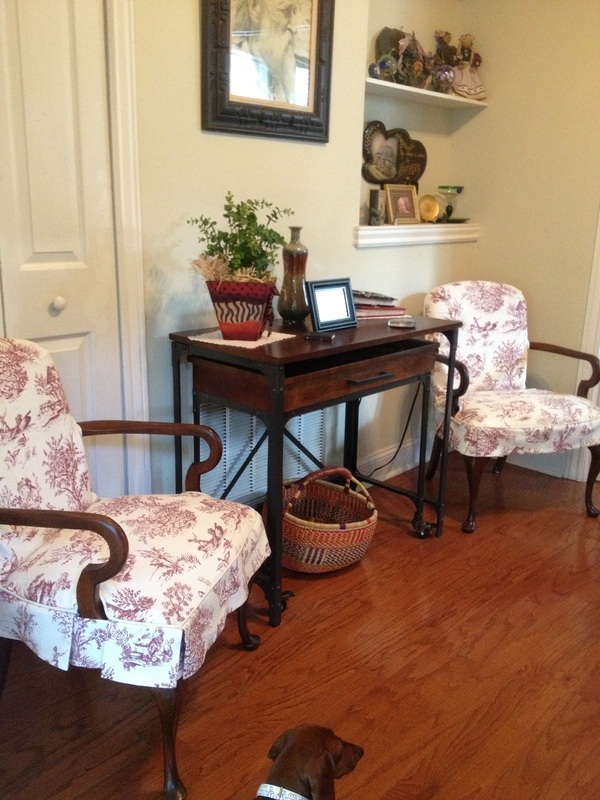 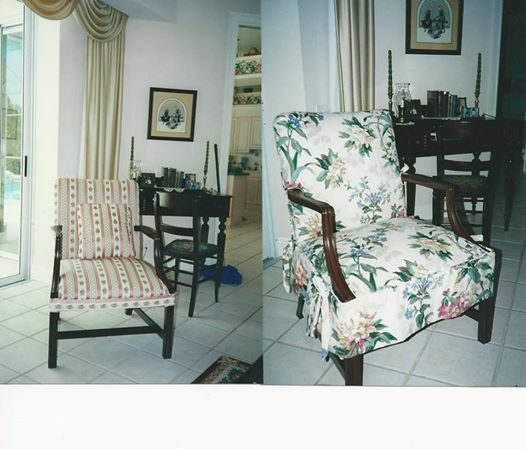 Once you have purchased the fabric of your choice, I will come to your home to cut and pin-fit your new slipcovers. 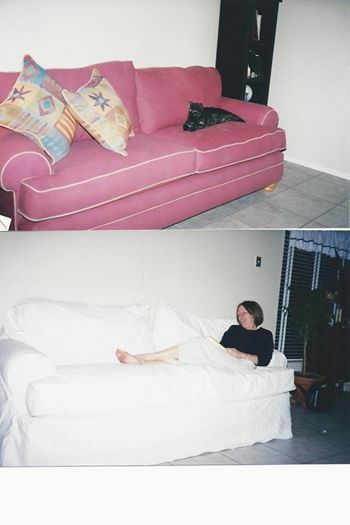 I will take the fabric back to my workroom to sew, and once complete (usually 2 to 3 weeks) I will return to your home to make a final fit onto your furniture. 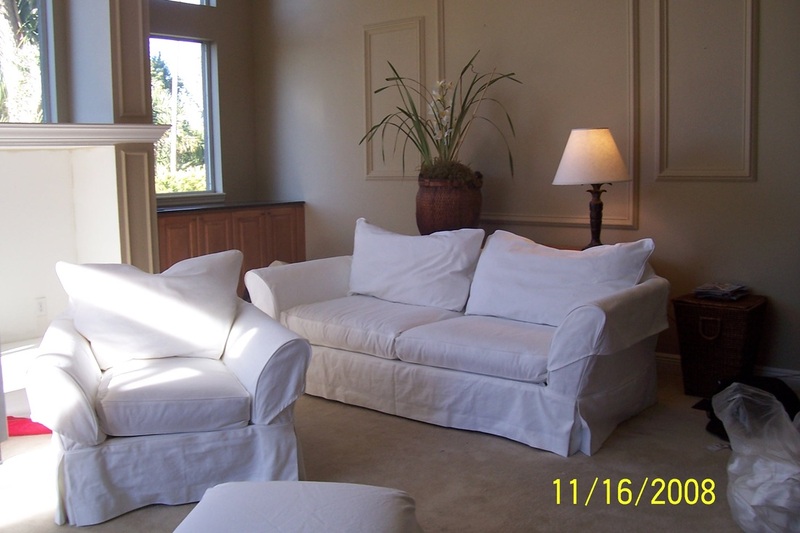 If the fabrics you choose are washable, then its best to wash them in a hot-wash cycle, include a fabric softener (such as Downey). 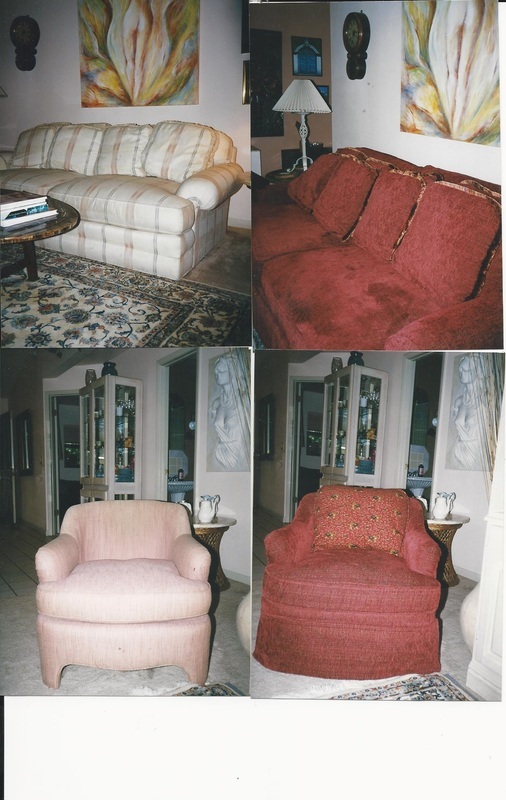 Next dry them in a hot dryer and fold immediately, this helps to reduce wrinkles. 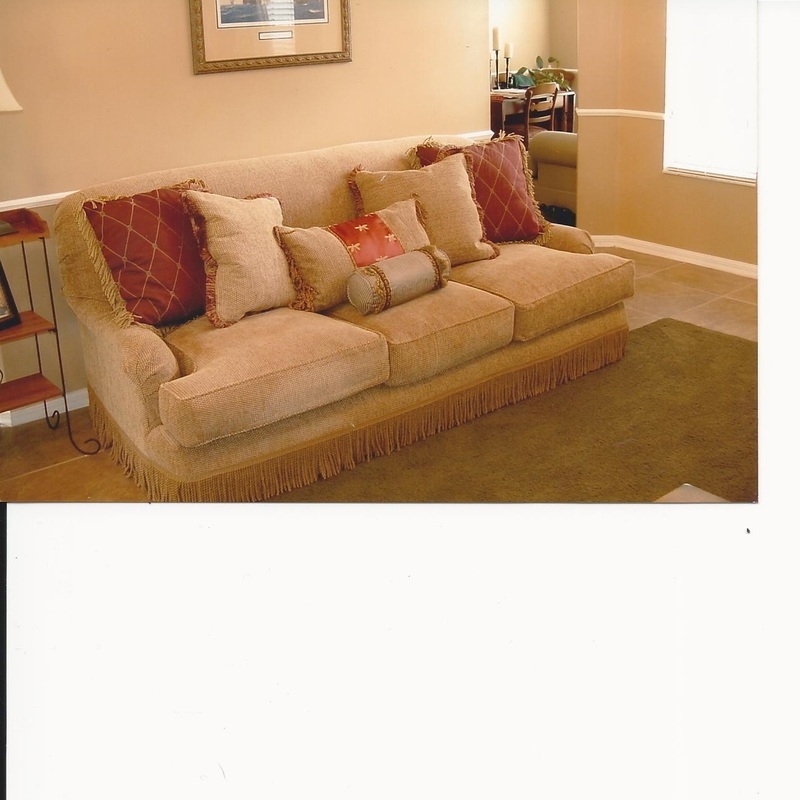 This will ensure the fabric is pre-shrunk before the measuring and pin-fitting process takes place. 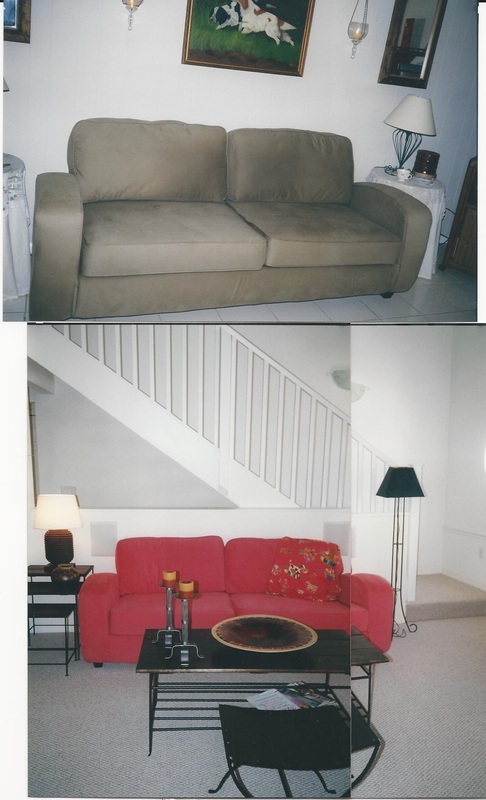 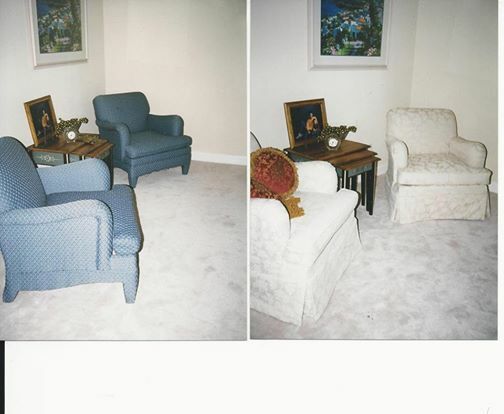 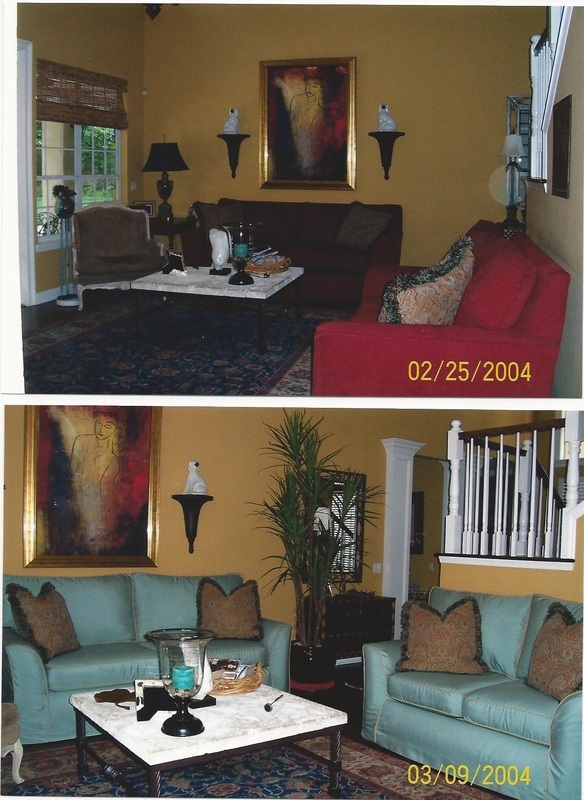 Below are some examples of sofas and chairs, before and after slip covers.